My name is Taylor Wilson, I am 24 years old and was born and raised on Sydney's Northern Beaches. 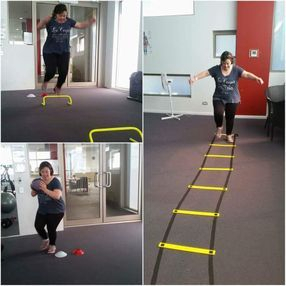 I have recently moved to Melbourne as a Personal Trainer, specialising in adults who have Down Syndrome. 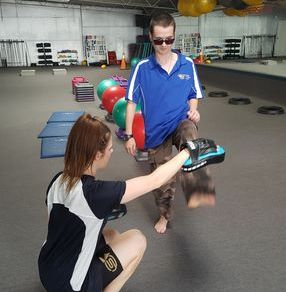 I am extremely passionate about the work I do and have been working through health clubs and Time 2 Train in Melbourne to expand my knowledge and work with all ages on the Autism Spectrum. I grew up struggling through school having a learning difficulty myself. My local school sent me to various learning programs. At the age of 17, it was discovered that I had a visual struggle, which is a form of dyslexia, I have to read from blue paper. I graduated year 12 and achieved great results in the HSC. I have managed my struggles and completed my Diploma of Fitness Coaching at University. Over the past year I competed in several physique competitions and I am currently training for a power lifting competition in February 2017. Along with these achievements I spent 7 years training in Tae Kwon Do resulting in a black belt ranking. I'm passionate about what I do and excited to see where this journey will lead me. The drive I get is from helping people to improve their lives through exercise. I truly believe that we should never stop continuing to learn. After working alongside Jeremy and being apart of the Time 2 Train Program in Melbourne for some time, I have recently made the decision to bring the Time 2 Train Aspergers Program back to my home town in Sydney Northern Beaches NSW.